Airbag seat belt technology just opened wide for retrofit installation on older aircraft. 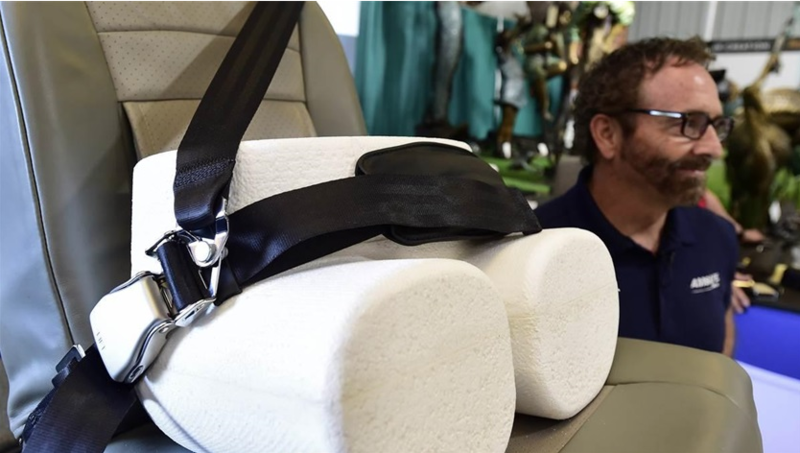 The FAA granted AmSafe’s State of the Art Restraint System (SOARS) supplemental type certificate approval July 12 with an approved model list of 541 models. The universal system, introduced to the general aviation community during Sun ‘n Fun in April, is for sale at an introductory price of $2,580. AmSafe will be at EAA AirVenture in Oshkosh, Wisconsin, July 23 through 29, to show off the new product. SOARS is available in two- and three-point harnesses for Part 23 aircraft (excluding Part 23.562 aircraft). The system also can be installed as a retrofit on experimental aircraft currently using two- and three-point harnesses, according to Jim Crupi, AmSafe business development and technical support manager. AmSafe worked closely with the FAA to certify SOARS. The FAA called the STC “a step forward toward increased safety and occupant protection.”Because it is a universal system, SOARS is not customizable by color or cable length, unlike AmSafe’s other retrofit STCs that are model specific. An A&P can install the restraint system and complete an FAA Form 337 (the FAA form is not required for installation on experimental aircraft). The kit comes with a body block to ensure proper alignment and installation, and an electronic module that performs self-diagnostics (AmSafe’s other systems require a special diagnostic tool). The electronic module is good for 10 years. AmSafe received supplemental type certificate approval July 12 for its new State of the Art Restraint System (SOARS). The universal system is approved for 541 models. Photo by David Tulis.